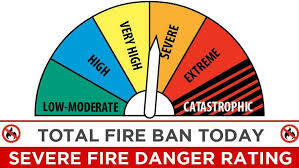 Total Fire Ban - January 30: Media Release. Local road closures: Click for updates and the full statewide list. Derwent Valley Council tip sites: Closed due to total fire ban. Click for updates. Maydena Bike Park: Closed today. Click for updates.